One of the more prevalent folk remedies thought to relieve the joint pain associated with arthritis is the daily consumption of gin-soaked raisins. It seems a bit odd when you first hear about it, though many people swear that it works. Is this just another home remedy the likes of copper bracelets, bee stings, certo fruit pectin, and magnet therapy? Does it really work? Let's explore this common theory and find out what medical experts think. Like many folk remedies, it's difficult to trace the roots of gin-soaked raisins as an arthritis treatment. It's likely that it has been around for quite a long time, but it got its first real boost in the 1990s. This is when Paul Harvey mentioned the remedy during one of his popular radio broadcasts. After the remedy got some press, it made its way into media outlets across the country. Several versions of the homemade recipe and many convincing testimonials on its effectiveness have since been included in several books about home and folk remedies. One popular book is "The People's Pharmacy Guide to Home and Herbal Remedies," written by Joe Graedon, MS, and Teresa Graedon. In it, a great deal of attention is given to the gin-soaked raisin theory. Though the authors do acknowledge that some people they've spoken to give the remedy great praise, others found that it did not help. 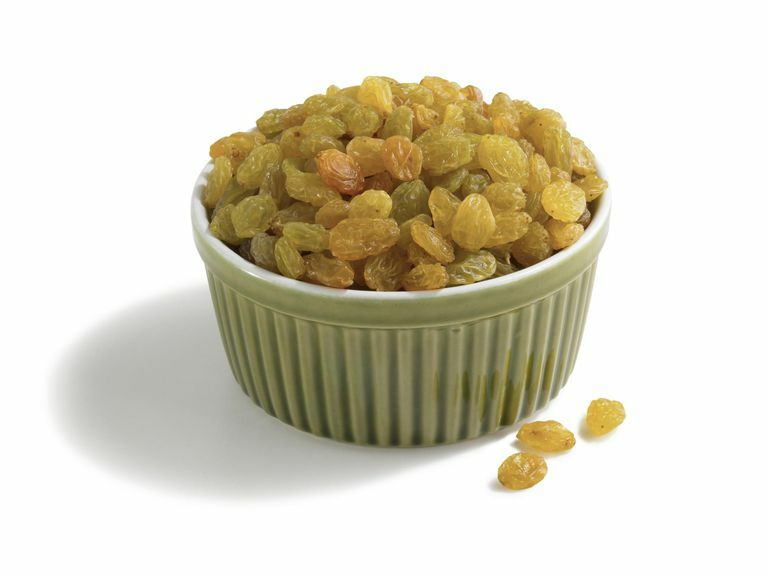 Place a box of golden raisins into a shallow container. Cover the raisins with gin. Let the raisins soak in the gin for a few weeks until the gin evaporates. The raisins will not dry out but will stay moist just like normal raisins. Eat nine of these "drunken raisins" a day to help your arthritis. The claim is that only the golden variety of raisins (sometimes called white raisins) will work and it's advised to avoid ordinary black raisins. However, as noted in "The People's Pharmacy," some people have found that the darker raisins work just fine as well. There's no real understanding as to why only nine raisins are recommended. You will find references to more or fewer raisins, but nine seems to be the overall consensus. Some recipes say that vodka is a viable substitute for gin. However, there is a theory that the juniper used to make gin—it's the primary flavoring ingredient in the botanical mix of most gins—has anti-inflammatory properties, which may help with arthritis. This is backed up by a very limited amount of scientific evidence. Juniper has, indeed, been used in natural remedies for this purpose (and others) for centuries. However, there are implications that it can produce negative interactions with certain medications, so it is not necessarily a valid treatment for everyone. To date, there have been no placebo-controlled double-blind studies to prove the efficacy of the remedy. However, many theories do exist as to why this remedy might have some value. Some think it's the sulfur used in the process of making golden raisins. Sulfur-containing foods and sulfur baths are among the treatments that may provide osteoarthritis and chronic pain relief. According to the California Raisin Marketing Board, rather than sun-dried, grapes used to create golden raisins are mechanically dried. They are then exposed to sulfur dioxide (SO2), which retains their gold color and prevents oxidation and caramelization. Some think it's the juniper berries used in gin. Combining the raisin sulfur theory with the potential anti-inflammatory properties of the gin's juniper berry may account for the reported effectiveness of this home remedy. In one discussion regarding osteoarthritis, medical professionals considered the variables of this theory. They questioned whether vodka would be as effective as gin and whether dark raisins would be as effective as golden. They do note that the alcohol content itself would not be a factor because the liquor is supposed to evaporate. As interesting as their discussion is, it raised more questions than it provided answers. Because of that, they note that trials would have to be conducted to determine the true effectiveness of gin-soaked raisins. Some think it's the placebo effect or arthritic remission. It is known that when people believe strongly in a treatment their endorphins and natural pain mediators are enhanced. Also, arthritis characteristically has periods of flares and remission. You may attribute feeling better to the gin and raisins when it's truly due to a remission if the timing of the two coincides. The conclusion is that there is not enough evidence to date regarding the effectiveness of gin-soaked raisins in arthritic pain relief. If you are considering this or any other home remedy, it is best to discuss it with your doctor before ingesting it. There could be negative interactions with other medications or treatments you are already using. Keep in mind that just because a remedy is "natural," that does not mean that it is entirely safe for everyone. Bais S, Gill NS, Rana N, Shandil S. A Phytopharmacological Review on a Medicinal Plant: Juniperus Communis International Scholarly Research Notes. 2014;2014:634723. doi: 10.1155/2014/634723. California Raisin Marketing Board. Nutrition FAQs. 2017. EBSCO CAM Review Board. Juniper Berry: Juniperus Communis. 2014. Graedon J, Graedon T. The People's Pharmacy Guide to Home and Herbal Remedies. New York, NY: St. Martin's Press; 2002. Loeser RF. The Role of Aging in the Development of Osteoarthritis. Transactions of the American Clinical and Climatological Association. 2014;128:44–54. Can There Be a Cure for Arthritis?